Stephenson W Nkinin is an Adjunct Professor of Microbiology at the University of Cincinnati Department of Biology. He is currently pursuing his MPH (Epidemiology) in the Department of Environmental Health, University of Cincinnati. Prior to registering in the MPH program, He was a Research Associate Scientist at the Pathology/Clinical Mass Spectrometry Department at Cincinnati Children’s Hospital. He was a Research Associate Scientist at the Pathology/Clinical Mass Spectrometry Department at Cincinnati Children’s Hospital. Dr. Mojtaba Mafi M.D., Medical Doctor/ Physician, graduated from Tehran University, School of Medicine with honor. He studied in neurosurgery ward and graduated with A score with a thesis on Meningioma Brain Tumor during 6 years. With continuing his practice with special consideration on psychosomatic disorders, he completed many postgraduate courses on health psychology, addiction medicine, sexual disorders therapy successfully. Dr. Mojtaba passed many postgraduate courses in Neuro, approved by Medical sciences university. As well, he has been passed postgraduate courses on Nutrition, Gastroenterology and Hepatology, Obesity treatment and diabetes approved by the Medical sciences university of Tehran. Having honor of working as an associate of Iran Hepatitis Network and Gastroenterology and Hepatology research center, Middle East Liver Diseases Center (MELD). He published reviews for articles on Brain Tumor Immunotherapy, CNS Tumor Guideline and Alzheimer disease in Elsevier and Kudos. His review on Alzheimer's disease article with specific DOI was published in American Physiological Society. Dr. Sai Charan has obtained his Medical degree from SDM College of Medical Sciences and Hospital, India. He is currently working as an intern in the Dept of Pediatric Surgery. 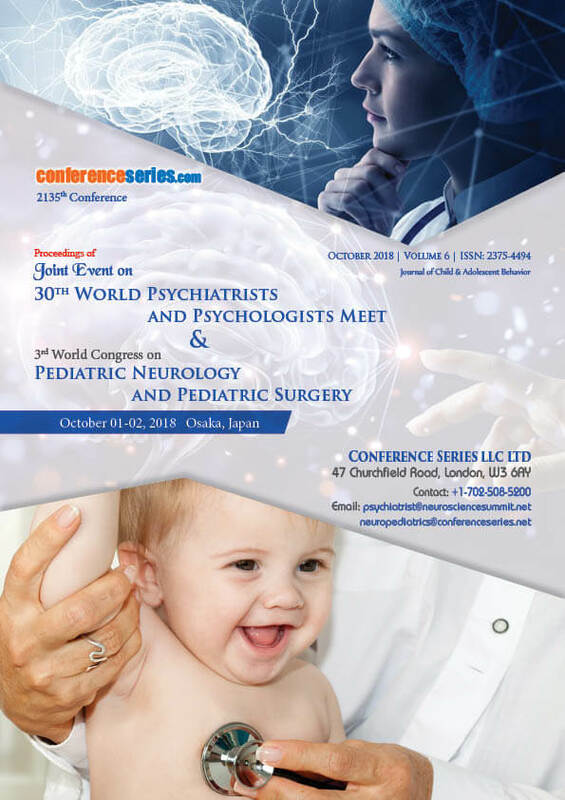 He is an excellent academician and has bagged thirteen gold medals and was awarded best outgoing student from SDM University.He has been the Moderator for the 3rd World Congress of Pediatric Neurology and Pediatric Surgery. He has published his research in the International reputed journal. He is currently working with Dr. Venkatesh M.Annigeri professor and head, Department of pediatrics surgery on several research papers. He has published extensively in the field of Neurology, Parkinson’s disease and Movement disorders. 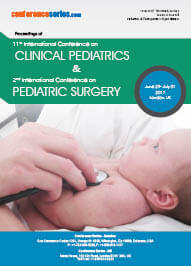 Dr. Adel Mahmoud, Senior Consultant Pediatric Neurology in King Fahad Medical City (KFMC), Riyadh, Saudi Arabia. He was graduated as Doctor of Medicine in Kasr Aini Institute, Cairo, Egypt 1981, Since then he practiced in different countries and got different certificates in Pediatrics and pediatric Neurology. Those included Syria, Ireland, England, Canada and mostly Saudi Arabia. Dr. Mahmoud having worked in Sick Kids, Toronto as a fellow of pediatric Neurology, got the chance to work in the field of ketogenic diet. As well he is interested in neurodysmorphology and movement disorders. 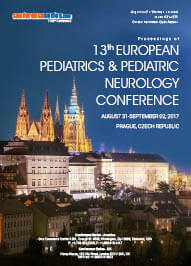 He is a mentor of many candidates who got the British Pediatric Neurology courses in the last few years. He has more than 40 studies and papers in the field of child Neurology and he mentors a lot of residents and fellows in the pediatric Neurology programs running in the center that is related to KFMC National Neuroscience Institute. 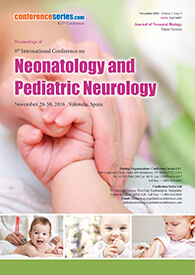 Rezayi A.R has expertise in child neurology and he is working on rare disease such as neurometabolic and referactory epilepsy in thirthiary center of child neurology center(mofid children hospital and loghman hakim hospital) in Tehran, Iran.He is publicated several article in field of child neurology and he is faculty member of shahid beheshti university of medical sciences and interested in education of child neurology fellow and pediatric residents and medical students.He was certificated in Iranian child neurology national board in septamber2011 and he is membership in several international child neurology society such as ICNA(international child neurology association), AOCNA (asian and oceanian child neurology association),EPSN(European Paediatric Neurology Society) and Iranian child neurology association. Alzheimer’s disease, Neurology, Nutrition, Biochemistry, Molecular Biology. Gentile Salvatore is a MD, Phy.D. Psychiatrist, Neurologist and working as an Adjunct professor of Perinatal Psychiatry- Medical School “Federico II” – Department of Neurosciences - Division of Psychiatry - Naples – Italy. Currently Working as a Director of U.O.C. Neonatal pathology, IRCCS Istituto Giannina Gaslini. Rabia Gönül Sezer completed her medical education at Marmara University School of Medicine in 2000 and her pediatric fellowship in 2005. She is a Ministry of Health employee, working as a paediatrician currently at Zeynep Kamil Maternity and Childrens Diseases Training and Research Hospital, Istanbul, Turkey. She works with a broad range of patients and particularly focus on working with the infectious, neurologic and neonatal diseases. She is a Research Fellow at the hospital for more than 4 years and became an Associate Professor in 2014. He has published 620 articles, including reviews and chapters in textbooks on Neonatology. Of these more than 160 are recorded in Medline. 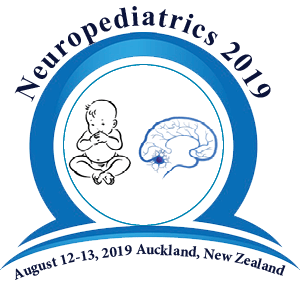 The main topics are hypoxia, hypoxiareoxygenation injury, the effect of free radicals in the neonatal period, and mechanisms of brain injury. He is involved with the organization of several European Conferences, and in the coordination of numerous pan-European clinical trials. He is the Coordinator of the European scientific network EURAIBI (acronym for EURope Against Infant Brain Injury). His research interests are in the mechanisms of cell damage in the neonatal brain, with special reference to hypoxia, the role of oxidant radicals in neonatal diseases and in babies with birth asphyxia. His research team is funded by several agencies including the Italian Ministry of University and Scientific Researchcofinance scheme for research projects of high national interest.